Customer Relationship Management (CRM) has drastically evolved. Understanding the power and opportunity of today’s CRM is key. The ability to bring together a strategy supported by both marketing expertise and technical skills is at the heart of successful engagement – and strong results. The Bubblebox team works with customers with a range of CRM skill sets – whether they are a seasoned CRM professional with limited or no experience with Salesforce, someone who more fully understands the platforms, or a relative newcomer to the process. When you are ready to roll out Salesforce Sales Cloud, the #1 CRM, we work with you to generate measurable results. From Quick Starts to optimization and efficiency engagements, the Bubblebox team provides you with a solution that effectively meets your specific needs – and exceeds your expectations. Our team is with you every step of the way – whatever your requirements – as your Salesforce Sales Cloud experts. 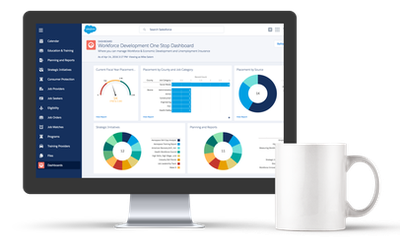 Need help with Salesforce Sales Cloud? Fill in the form below and we will be in touch.